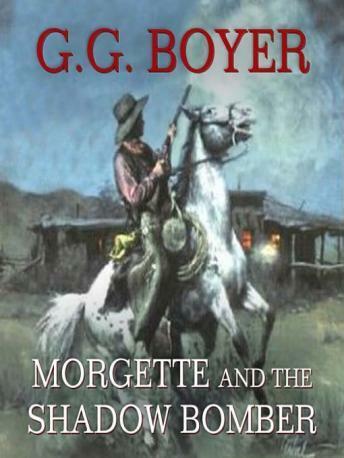 Morgette and the Shadow Bomber is the sixth volume of the adventures of Dolf Morgette, the legendary gunfighter and lawman of the Old West. While in Alaska, he hears about a series of mysterious bombings in Pinebluff, Idaho. At first he doesn't think that he and his family are in any danger. It sounds to him like the bombings are directed at mine owners, probably by disgruntled miners who are unhappy about recent cuts in wages. But he is very wrong. Events turn dangerous enough for him and his family that he has to appeal to his father-in-law, Chief Henry. If he can't find a way to straighten things out fast, Dolf might get blown sky-high in this exciting combination of mystery and western.